William Haggas toyed with an all-weather return to action for his Racing Post Trophy winner Rivet but instead has opted for this more traditional Guineas trial for the son of Fastnet Rock. A top-priced 20-1 chance for the Qipco 2,000 Guineas, Rivet will be partnered by Frankie Dettori, who was aboard at York last year when the colt lost his maiden tag. Although six of the seven-strong field won last time out, it is a wide spread of form, with Rivet, Larchmont Lad and War Decree Group-race winners when last seen, while the other three last-time-out winners were successful in maidens. 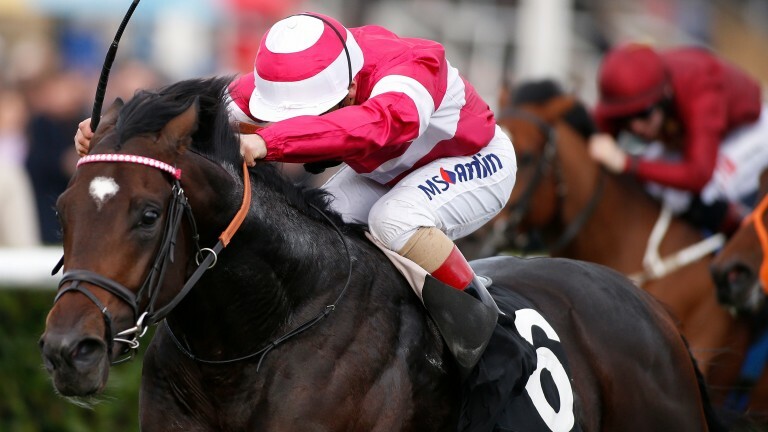 The Craven has not provided a Guineas winner since Haafhd in 2004, but there will no doubt be runners from Thursday's race lining up in the Classic with only Godolphin's Benbatl not entered, although he holds an Investec Derby entry. Stormy Antarctic’s win last year broke Richard Hannon’s stranglehold, with father and son winning the race four years in a row between 2012 and 2015. Larchmont Lad, whose Tatterstalls Stakes win of last September was yesterday franked by Free Handicap winner Whitecliffsofdover, represents them. William Haggas comes into the race in great form, with four winners from his last ten runners. Aidan O'Brien has a Craven-sized hole in his trophy cabinet, having never captured the race. He relies on War Decree to end the drought. He won well first time out. He worked nicely over the weekend and looks to be in good form. We are looking forward to seeing another good result from him. I think he has done well over the winter. He couldn't have won any easier at Nottingham but then he didn't run his race at all in the Racing Post Trophy. He was starting to go in his coat and got intimidated by other horses coming into the final furlong and was short of room. I still believe he's a nice horse and this will help us find out how nice he is. He's fit and well and needs to have another run for the experience. We'll know more about where we are going with him trip-wise after this. It looks a hot race with a Group 1 winner in there but he likes a strong pace as he doesn't quicken, he just lengthens. He has come forward a long way over the winter and I've been very pleased with his work. However, he meets an unpenalised Group 1 winner, so it's not exactly going to be an easy task. He has been in great form and I have been happy with his work. We took him away to Kempton to have a go round there and he has been working with two other Guineas horses. He has won over the course so he should handle the Dip. It will be nice to find out where we are with him and physically he has done very well over the winter. I'm hoping he'll run a good race. Andrea [Atzeni] wasn't happy with the track when he ran in the Dewhurst, but I think seven furlongs on quick ground, when they didn't go that fast and we held on to him, weren't his ideal conditions. I think he should be fine on the track, personally, but if he gets stuffed, then he won't be running in the 2,000 Guineas, I suspect. The horse is fit enough to run a good race. He should come on for it but he's ready to go. He's a nice, strong, genuine galloping horse. He did well over the winter and is in good form and just ready to start. His three runs last year were over seven furlongs, so we'll have to see how he fares over the mile. The race should tell us plenty. The Racing Post Trophy remains the key test of staying juveniles. But as the table shows, recent winners have enjoyed mixed fortunes on their seasonal reappearance at three. Another dry day is forecast to round off the Craven meeting on Thursday. The going was left unchanged at good to firm, good in places on Wednesday, and clerk of the course Michael Prosser said: “It’s tightened a little bit from Tuesday, as you’d expect. “The track has held up well, they’ve squeezed a print into the course all the way up the track and the feedback we’ve received from jockeys has been favourable.